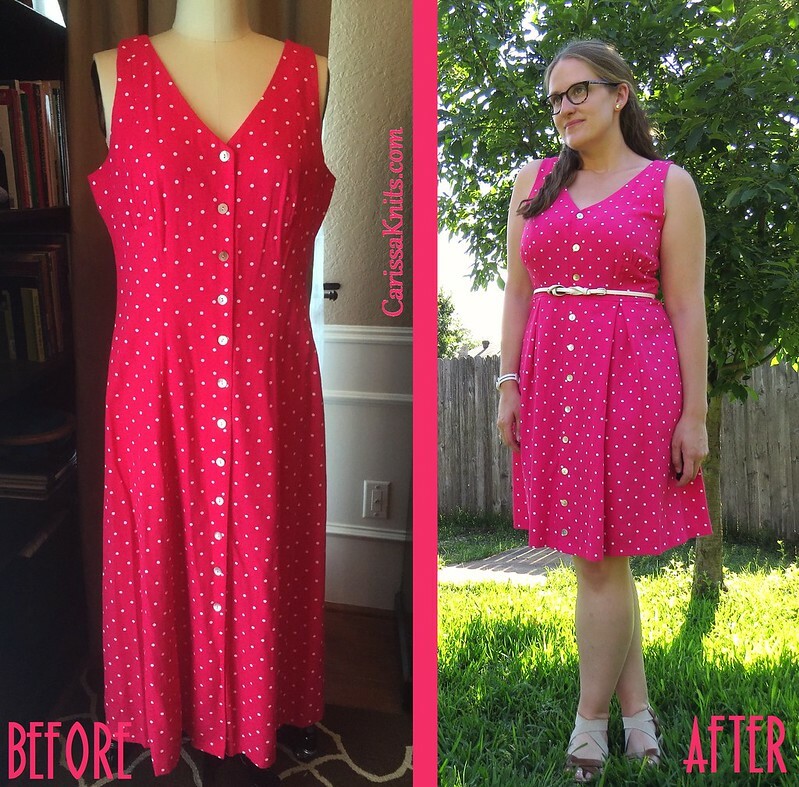 For the dress, I cut out the mid-section, took in the bodice, reattached the skirt with some pleats to soak up the extra fabric, and re-used the buttons from the mid-section to close up the bottom slit. 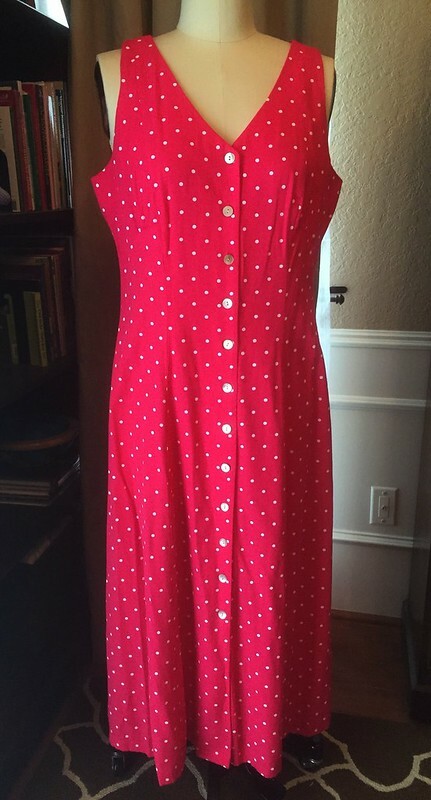 And behold, my new favorite dress! 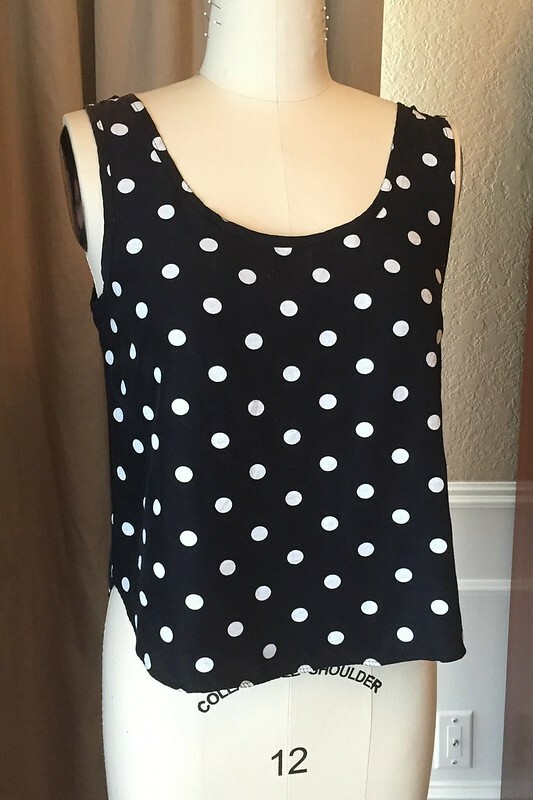 Then for the black and white top, I called in reinforcements in the form of this white polka dot lace tank top. 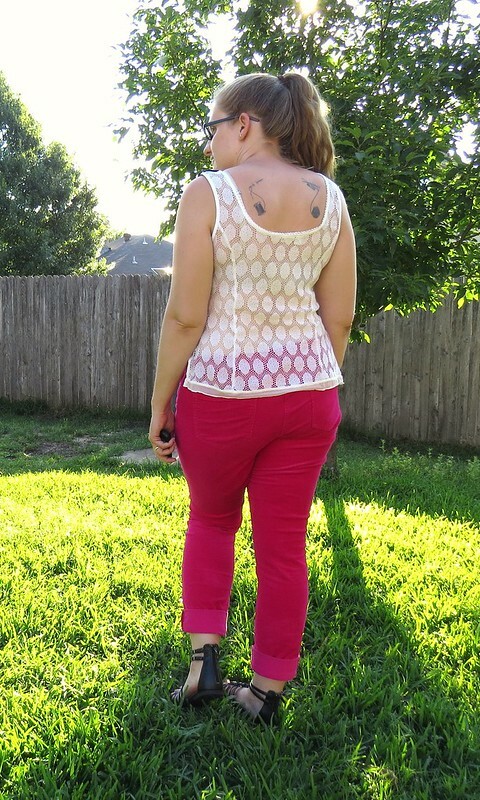 I cut the side seams and shoulder seams on each top and then put the front of one and the back of the other back together! 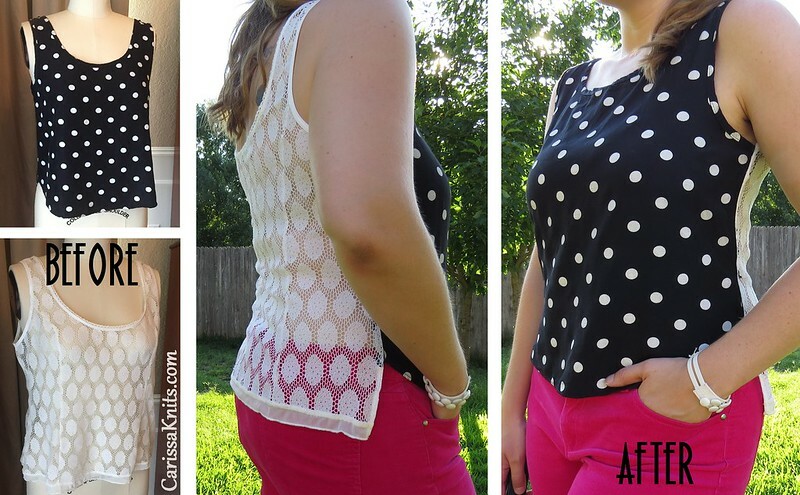 And now I've got a trendy solid-front-lace-back tank top with polka dots all over! 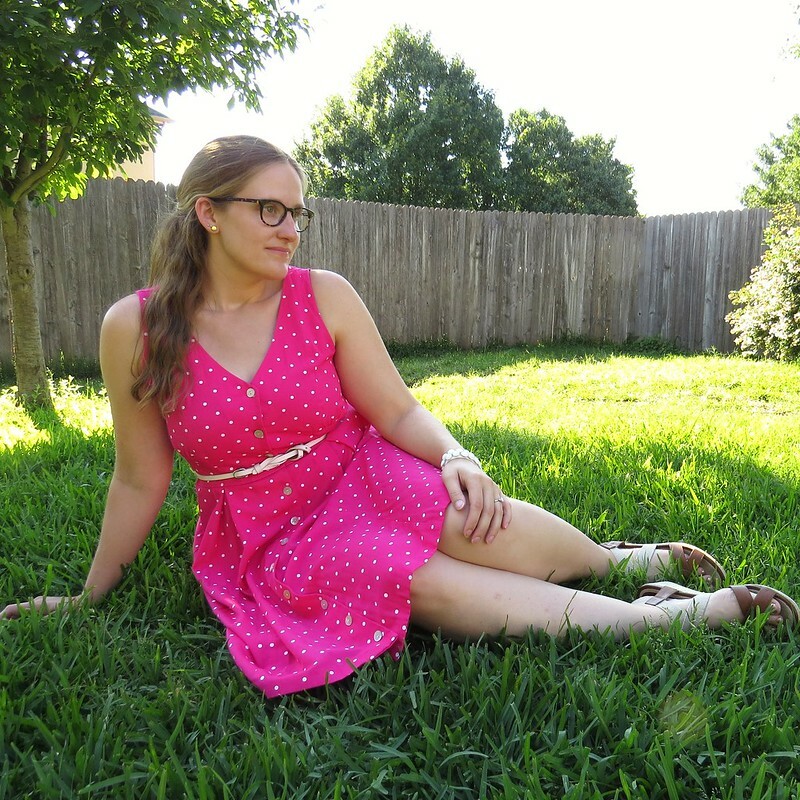 For more details and photos of each refashion, visit me over at CarissaKnits! Both refashions look great. I like the lace back! 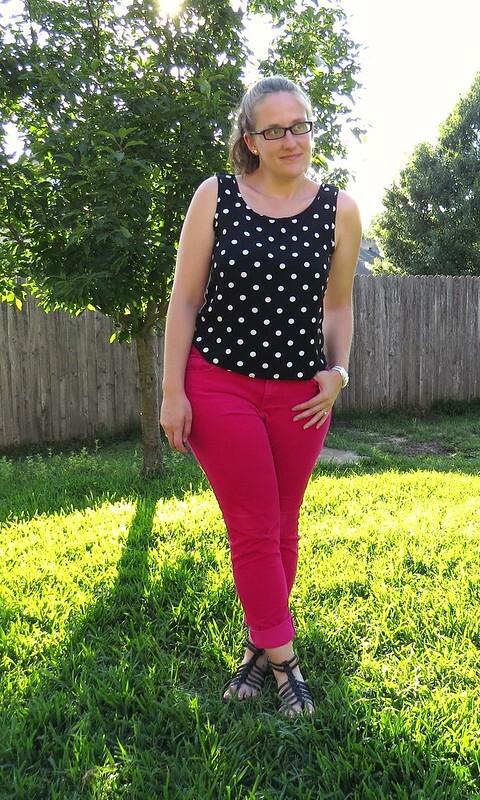 Well done two wearable and lovely items!